Industry Experts, Interesting Topics and Inspiration Galore! 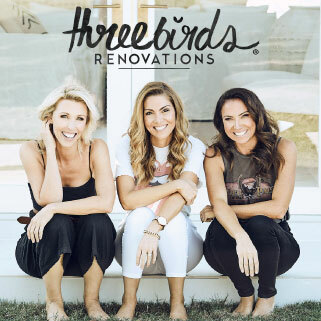 We’re excited to welcome the genius ladies from Three Birds Renovations to our stage this year. Stop by to learn their reno tips as well as insider info from a variety of other expert exhibitors. From tiny houses to styling secrets to home technology and everything in between – we’ve got you covered! All sessions run for 30 minutes. Seats are allocated on a first-in basis. It is recommended that you arrive 10 minutes before each session starts to avoid disappointment. In 2014, Bonnie, Lana and Erin took a leap of faith together, quit their jobs and created Three Birds Renovations in pursuit of a more fulfilling life. Within a few short months of starting out they had successfully bought, renovated and sold their first property. Fast-forward to today and they have transformed nine houses (including 32 bedrooms, 18 bathrooms and 11 kitchens), amassed a group of followers who make it all worthwhile and learned more than they ever could have imagined.